Who doesn’t love a swag bag? When you need to welcome someone, thank them, or promote your brand in an engaging way, nothing beats an assortment of fun and useful merchandise! Fun branded items are the perfect way to show your appreciation to supporters, partners, and prospective customers. The perfect swag bag idea that will really turn heads is a beautifully-designed custom t-shirt! T-shirts are the most reliable fundraising and promotional tool out there. 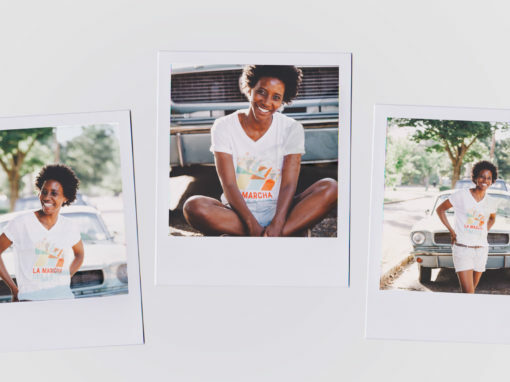 Custom t-shirts are a classic standby for nonprofits, businesses, artists, musicians, entrepreneurs, internet personalities, and everyone in between — basically anyone who might need to create some custom merch to promote their work. Whatever your reason for needing to create a swag bag, including a custom t-shirt featuring your logo, artwork, or mascot is a smart move. 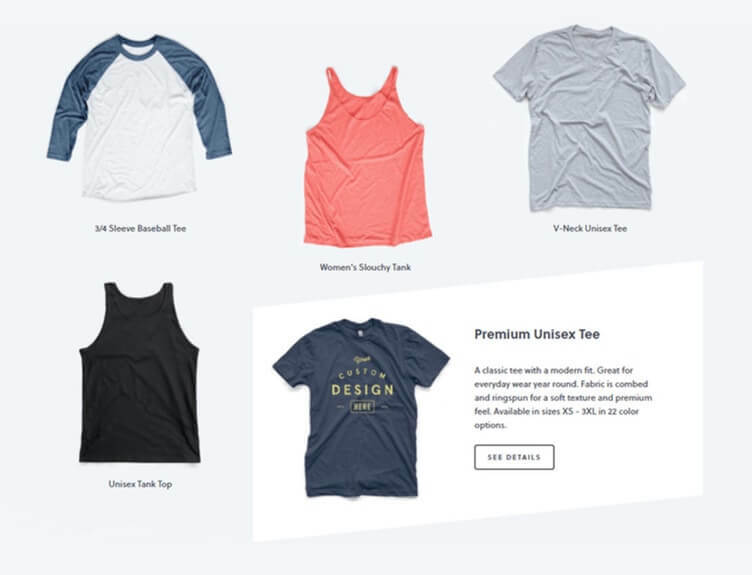 As one of the most flexible custom t-shirt websites out there, Bonfire is a perfect choice the next time you need customized merch for your promotional swag bag. With plenty of design options and easy ways to order, Bonfire t-shirts can make a great addition to any type of swag bag! A custom printed t-shirt can make a strong, professional impression! Check out how custom t-shirts from Bonfire can add the perfect finishing touch to your next swag bag. Let’s say your nonprofit organization has put together the perfect fundraising event. You arranged for entertainment, concessions, educational booths, mobile donation tablets, the works. What better way to help your attendees remember the event and all the hard work you do than by giving them a custom t-shirt and swag bag once they make a donation? Or maybe you’re an entrepreneur, business, or artist attending an expo or fair. Swag bags are one of the most effective methods of attracting attention quickly. Make your booth a convention hotspot by offering promotional t-shirts and merchandise to interested visitors! Creating promotional and event t-shirts or other branded apparel is a breeze with Bonfire because its flexible options mean that you can stay focused on getting your design just right for the lowest cost. The t-shirt’s purpose. It’s easy to get wrapped up in all your options, but remember that the main point of your custom shirts should be to remind attendees of your fundraising event — how fun it was, how they felt making a donation to your cause. Balanced design. Keep your shirt’s main promotional purpose in mind, but it can’t dictate the entire design. 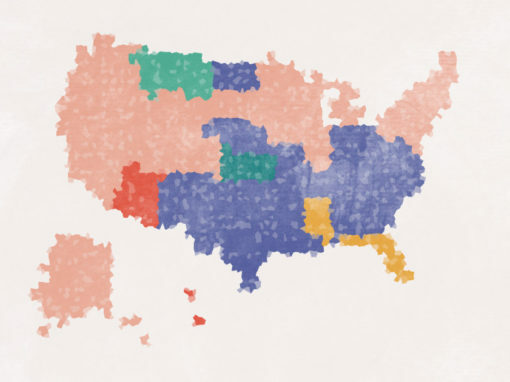 What other design choices will your visitors like and be drawn to? Take your time getting this balance just right; it’ll pay off. Check out our guide on how to design a t-shirt for more guidance from our design team! Attendee reactions. On the day of your big event, pay close attention to the visitors who receive a swag bag including a custom t-shirt. What’s the feedback? If everyone loves your shirts, consider opening a campaign to sell them online for an extended period. This is an especially smart strategy for entrepreneurs and artists. 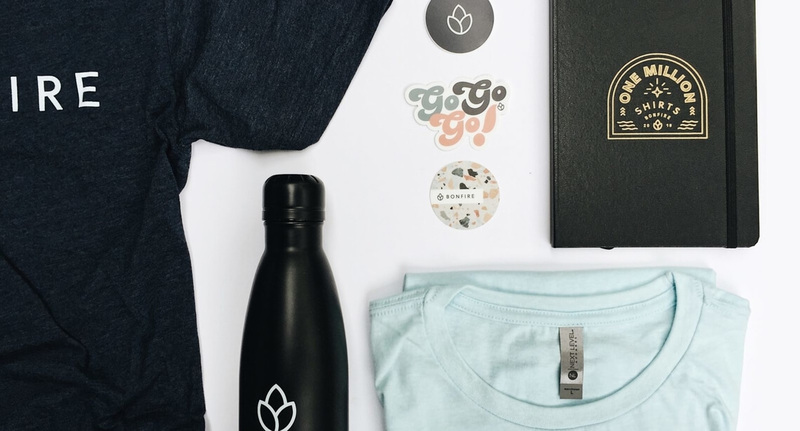 With the ability to design, print, and order as few as one custom t-shirt or other branded apparel through Supply by Bonfire, it’s easier than ever to refine your design and start putting together the perfect swag bag. Plus, intuitive design tools mean you’ll have plenty of time to spare before the big day of your fundraiser, expo, or art fair. Companies of all sizes need to create swag bags and custom branded merchandise for various internal reasons, too. Maybe you’re designing company-wide shirts for the next major convention, or creating a uniform for your company’s team in that big 5k coming up! Whatever your reason, custom company t-shirts from Bonfire are a smart choice. This is especially true if you’re putting together a swag bag for a new employee! Giving your new colleague a selection of useful office materials and company branded merchandise is a fantastic way to help them feel valued from the get-go. As you begin brainstorming ways to express the essence of your company through a t-shirt design, consider the main purpose of branded company apparel — to foster a sense of group belonging. Strong design can help a whole group of coworkers feel united and constantly remind them of their shared goals and values. Create an evergreen design. This means your design shouldn’t become outdated anytime soon. Keeping it simple, clearly branded, and free of large amounts of text will help. Take inspiration from existing elements. Start with your company’s logo, mascot, or slogan as the basis for your design! Create some mockups and let your co-workers vote for their favorites. After all, every great new startup has its own t-shirt! Choose the right products. Once you finalize your design, decide what kind of apparel to print it on. What will a new employee like? Are your shirts for cold weather, or outdoor activities? Choose a product your teammates can wear again and again. For some ideas about what kind of apparel you can create for your new employee swag bag or new company shirts, be sure to check out all of the custom clothing and apparel available at Bonfire for an idea of what to expect from any well-rounded custom t-shirt platform. Remember, Bonfire’s flexible options mean you can create and order custom swag bag shirts the way that makes the most sense for your company. With no minimum order requirements, it’s easy to create welcome swag bags on an as-needed basis or in bulk. This makes Bonfire t-shirts a perfect swag bag solution for small businesses and companies in the process of scaling up! Swag bags are an excellent thank-you strategy for nonprofits, creatives, bloggers, online influencers, and individual fundraisers looking to develop more professional relationships with partners and supporters! It can be tricky to gain a foothold in a crowded digital space. That’s why swag bags are an ideal tool! Use your custom merch to thank those who’ve helped you and promote your brand at the same time. An organization that partnered with yours for a successful campaign or event? An influencer, blogger, or publication who promoted your content or work to their audience? Donors to your creative project or crowdfunding campaign? The design of the custom t-shirt in your swag bag needs to strike a perfect balance — clearly branded and with a trendy design, but not too outwardly promotional. Thank-you swag bags are more about making a great professional impression and encouraging more collaboration in the future, not selling anything. Once you’ve established a great design to incorporate into your swag bag merch, order as few or as many of your custom shirts as you need to assemble your thank-you gifts. Remember, shipping within the US is free with Supply by Bonfire! Whatever your reason for creating swag bags, whether it’s to build a relationship, thank your supporters, or welcome a team member, adding a custom t-shirt into the mix is a great idea. Everyone loves receiving a free t-shirt, plus your Bonfire products will look professional and make a strong impression! Mission Trip Fundraising 101: Custom T-Shirts. 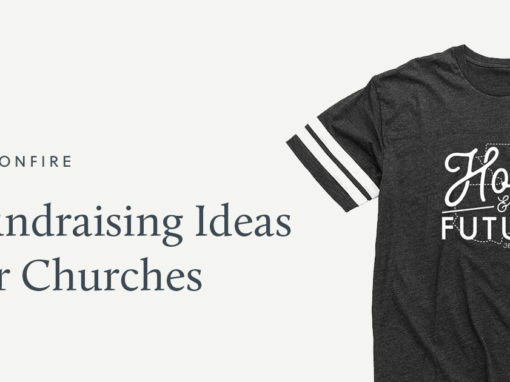 Raising money for a mission trip is one of the top reasons that individuals create custom t-shirts. Check out our guide to getting them just right. Animal Shelters are Winning on Facebook from Qgiv. Engaging an audience on social media can be tricky. Animal shelters consistently succeed on Facebook by following some best practices! The 9 Best Fundraising Websites for Individuals and Nonprofits. We ranked and reviewed our favorite fundraising platforms that might be perfect for your next project or campaign! Cancer Fundraising Ideas for Treatment and Research. Looking for more ways to boost engagement and raise more funds for cancer research and treatment? Check out this list of ideas to get started.